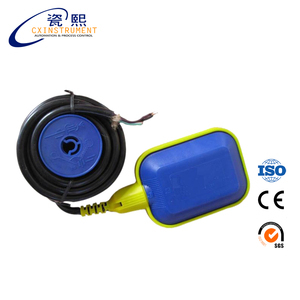 DC5V/12V/24V Water Level Sensor Features: Contactless liquid level sensor, directly bonded to the insulator in the outer container can detect a point level, when the water level reaches the output there is a signal, the service life is almost permanent. * unipolar to induction, without affecting the peripheral devices suitable for complex environments * suitable for a wide range of power, low power consumption * installation is very easy, immediately available. Features: * without environmental impact, high stability; * high sensitivity, can be any non-metallic material through the container, such as glass, ceramics, plastics, rubber, etc. Detailed Images SEN-CK2314 with floating magnet Proximity switch is POM material,switching signal ,apply to waterway control like hot water heater,water pump etc. ,it is a professional high-tech manufacturer for magnetic sensor development and production, located in Rongui town, Shunde district, manufacturing industrial center in Guangdong. Close to 105 highway road and Guangzhou Zhuhai west, less than 30 minutes by car from Guangzhou, Zhongshan, Foshan,with a strong advantages of home appliance industry and scale matching. 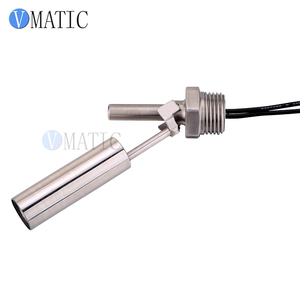 The level switch is composed mainly by the magnetic reed switch and the float, a magnetic material in the float, the float moves up and down with the measured level, touches the reed switch with the detection level position. As we know, the reliable switching power supply is the necessary tool for electronic equipment. 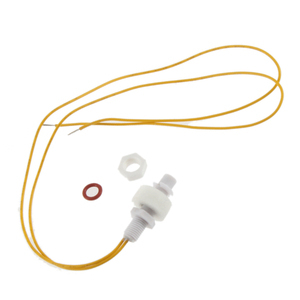 This is a special designed right-angled float switch which can adapt to the harsh environment. 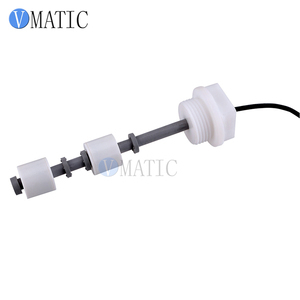 Ultrasonic water level sensor switch Ultrasonic liquid level switches are used in a wide variety of applications to detect the location of level in a process. Ultrasonic liquid level switches are used in a wide variety of applications to detect the location of level in a process or storage vessel. A complete offering of materials and mounting configurations are available to meet your application needs. DC 3wire 10-55V NPN N.C. DC 3wire 5-36V NPN N.C. DC 3wire 5-36V PNP N.C.
You do not have to care if there is high pressure, toxic, or strong corrosive liquid in tank. Repair, maintenance , or replacement for a new level meter No any disturbance in tank normal use. Besides, our company often cooperates with some universities and scientific institutions. 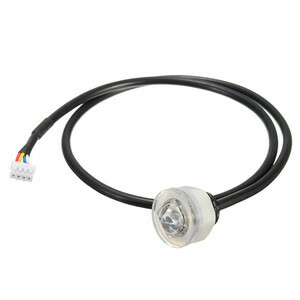 Alibaba.com offers 9,140 water sensor switch products. About 27% of these are sensors, 1% are wall switches. A wide variety of water sensor switch options are available to you, such as magnetic sensor, level sensor, and position sensor. 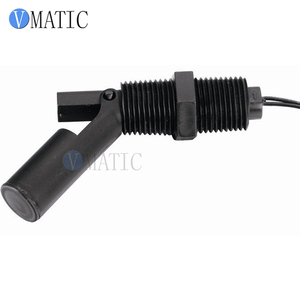 You can also choose from inductance sensor, hall sensor, and ultrasonic sensor. As well as from switching transducer, digital sensor, and analog sensor. And whether water sensor switch is free samples, or paid samples. 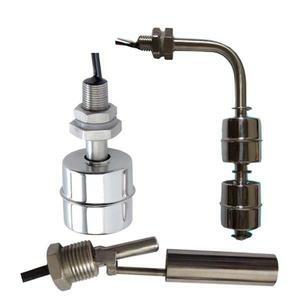 There are 9,064 water sensor switch suppliers, mainly located in Asia. The top supplying countries are China (Mainland), United States, and Hong Kong, which supply 95%, 1%, and 1% of water sensor switch respectively. 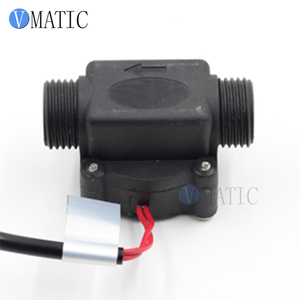 Water sensor switch products are most popular in North America, Domestic Market, and Western Europe. You can ensure product safety by selecting from certified suppliers, including 3,376 with ISO9001, 1,316 with Other, and 503 with ISO14001 certification.